….and, it starts. 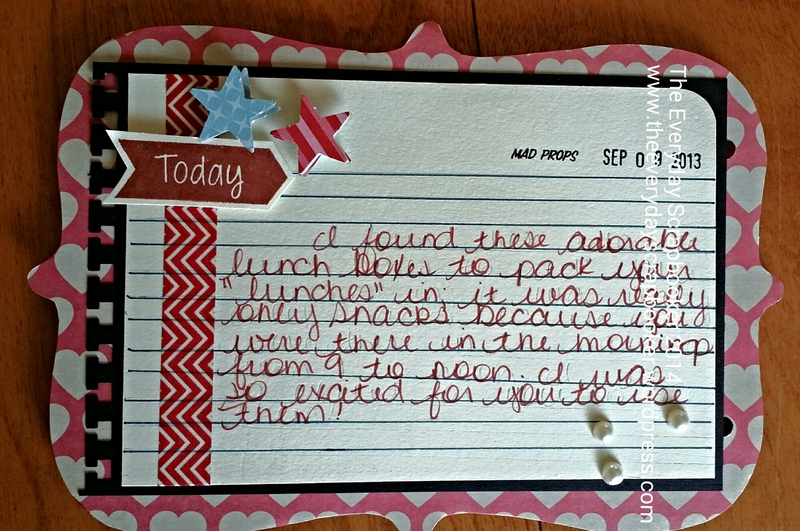 We are just two mere days into the new school year, and one of my littles is already sick. So is my husband, for that matter. They both have colds. I got next to no sleep last night, and I feel pretty grouchy this morning. Deep down, I’m less than happy that we had to be up every hour over night. I really like my sleep! But, I’m sad for my girl that the flu season has already knocked her down. I made her chamomile tea this morning, with some honey to sweeten it, because I promised her overnight that it would make her throat feel better. I also just decided to sleep with her, in her bed, since she kept coming to my room so often. Unfortunately, that was finally at 5 this morning. On the bright side, school didn’t start until 10 this morning. I don’t know why, and after a night like last nights, I’m thankful it was an hour later than it should have been. There’s always a silver lining, isn’t there? I sense an afternoon nap in our near future! 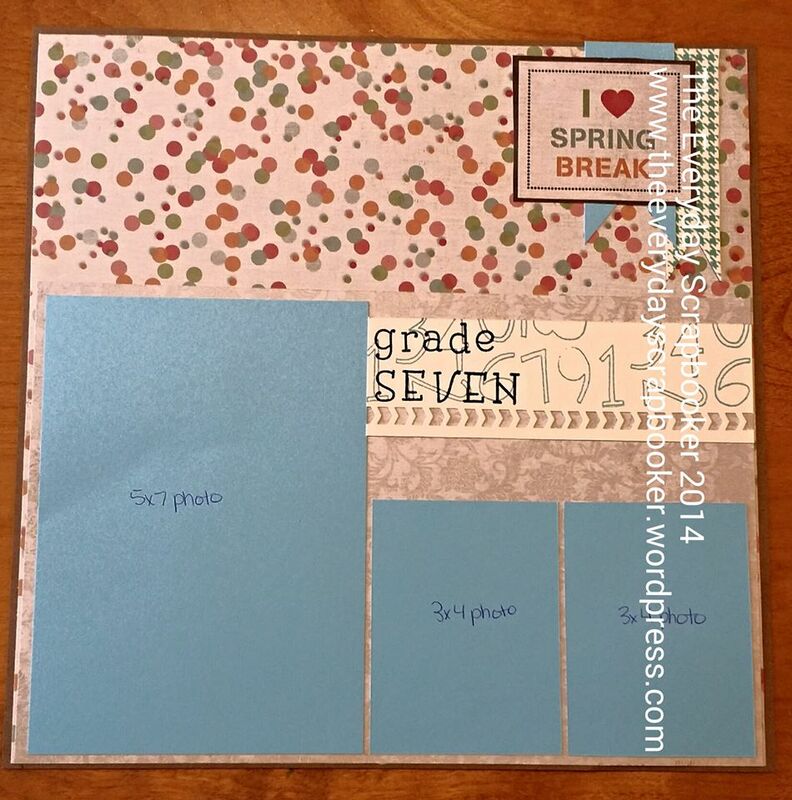 I do have a few more layouts to share with you! That’s good news! 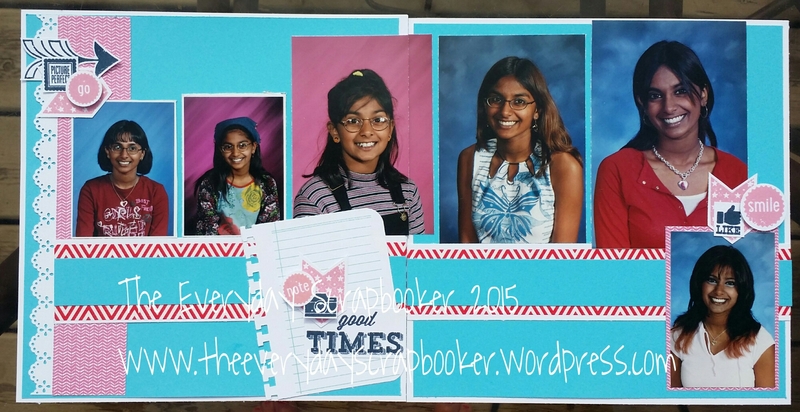 On a spur, I decided to create some title pages for each grade level (elementary, junior high, high school, and maybe a college or pre-school one, too). 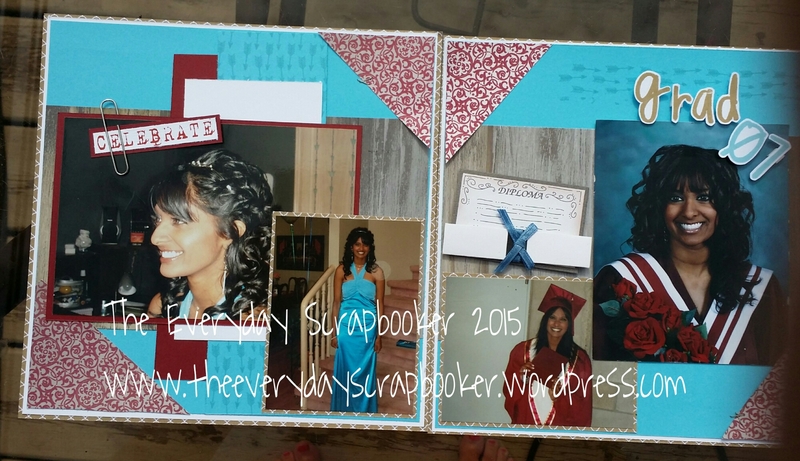 There are also pockets on those pages, adding even more storage than there already is within this album. I realized I’d still have a few pages left over, once all the grades are covered, so it made sense to me to add a few ‘title page’ pages to eat those extra pages up. I received an update on our nephew R. The tumor that’s growing is on his stomach, and his doctor figures it will be easy to remove- and without any serious complications or (heaven forbid) more bad news. A small portion of his stomach will be removed too, but other than that, R will make a full recovery. Instead of chemotherapy, he’ll take chemo via pills. I’m not sure if it affects a persons’ body the same way therapy does. Does anyone know? Maybe I’ll google it…Also, the tumor we thought was growing in his pancreas, was actually incorrect information. There is no other tumor. Thank goodness! So, in 6 weeks, after R has recovered from his knee surgery, he’ll go for a second procedure, to remove the malignant tumor. Hopefully we still have good news then! Wow, Tuesday already! While the kids are absorbed in Chuggington, I’ll pound this blog post out, then wake hubs up- who came home from work with an infection in his leg and feeling poorly. He’s seeing his doctor at 1 this afternoon. Wish him luck! 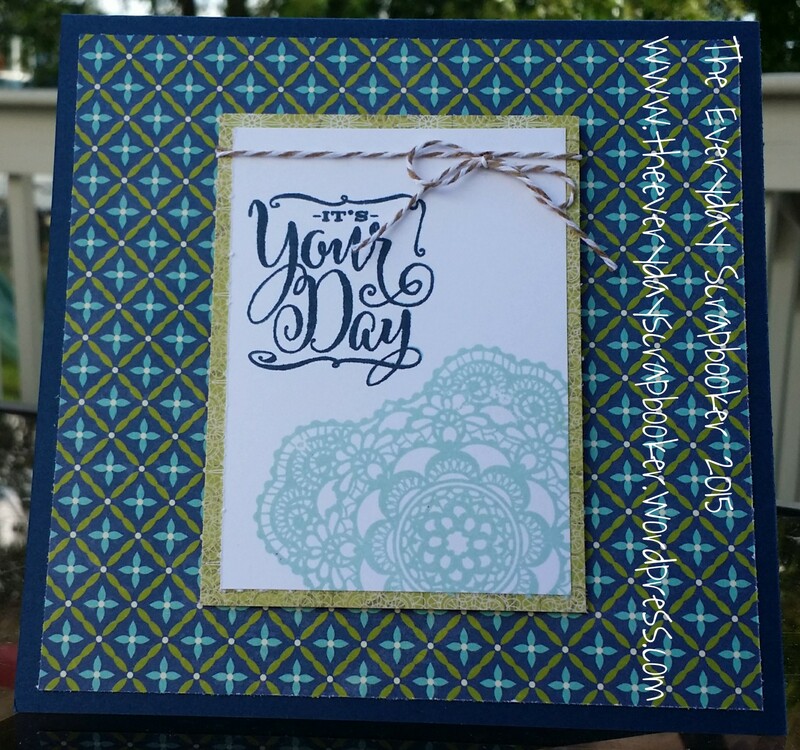 In addition to two more layouts to share with you, I also have a card I made for my sister in laws upcoming wedding. 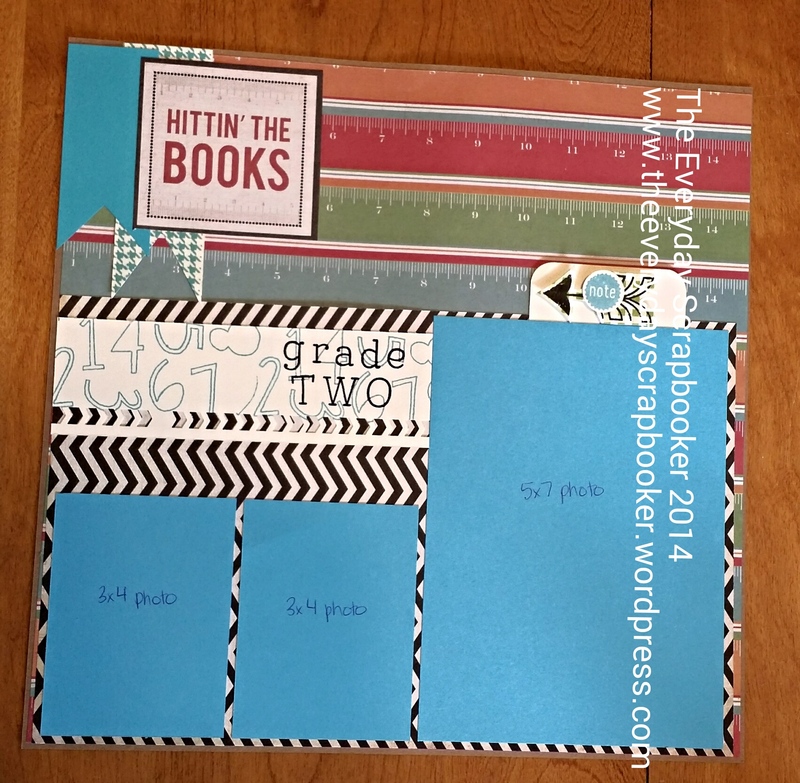 I browsed through our 2013-2014 catalog and idea book for a card to make my sister in law. This is what I came up with! Whoo, welcome to another Monday! Things are going to be crazy around here as I prepare to send us to Saskatchewan for a few days next weekend. That includes tidying and cleaning the house so that I can enjoy it in a tidy state for a few days AFTER our trip, since the twinlets will be visiting their grandparents before school starts. We’re nearly there (school, that is). Anyone else living by that mantra these days? 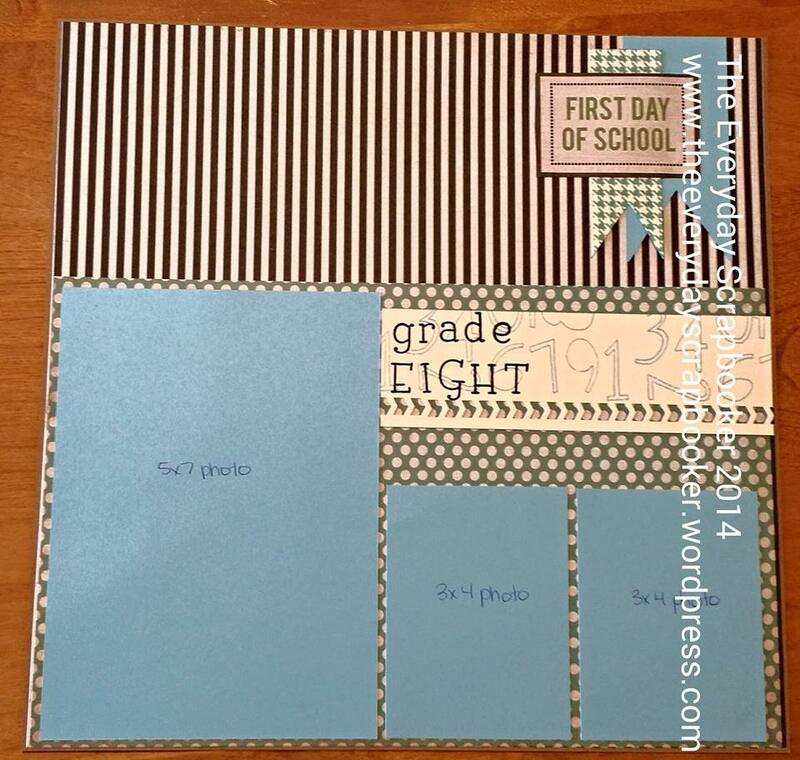 It’s a 12×12 inch scrapbook album that has lots of room for extra storage by way of a large pocket that can be found on every page. There’ll be a few pages left at the back of the album that will be dedicated to extra pictures or special documents (diploma, maybe, for example). Our challenge this week? 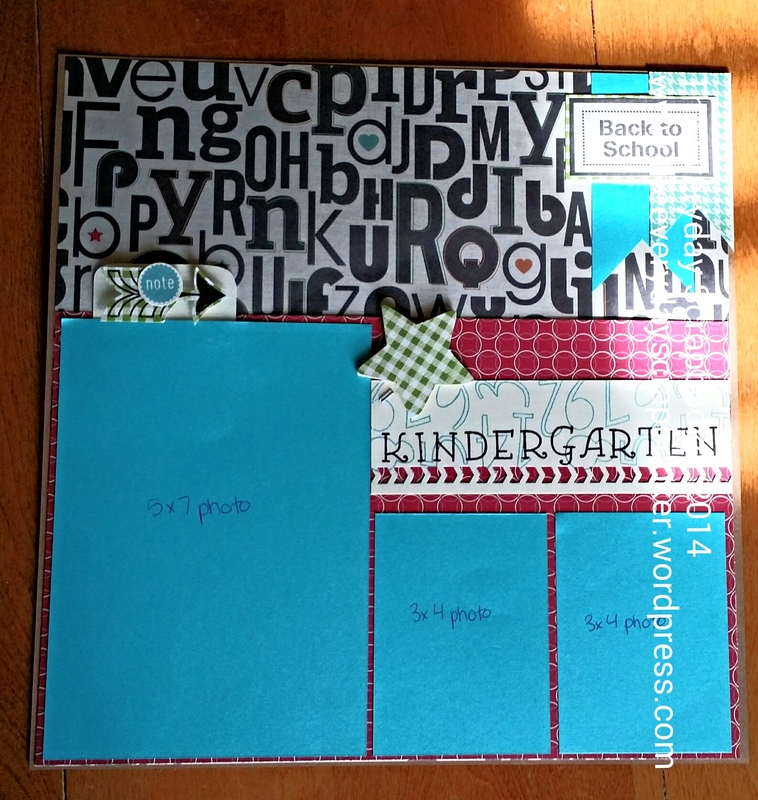 See the small border with the grade stamped on it? 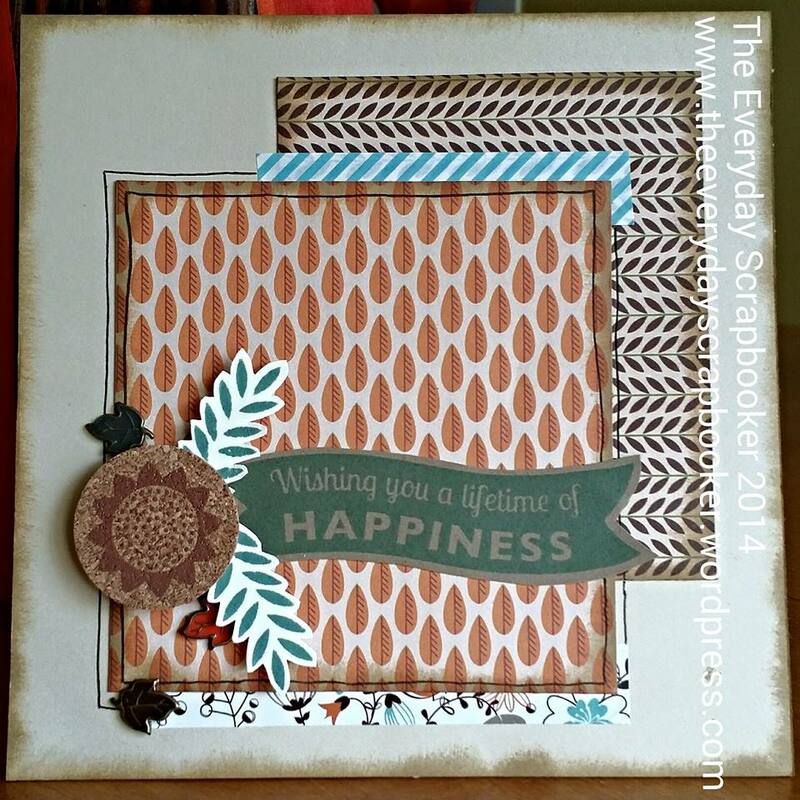 Make your own border or background using stamps only! 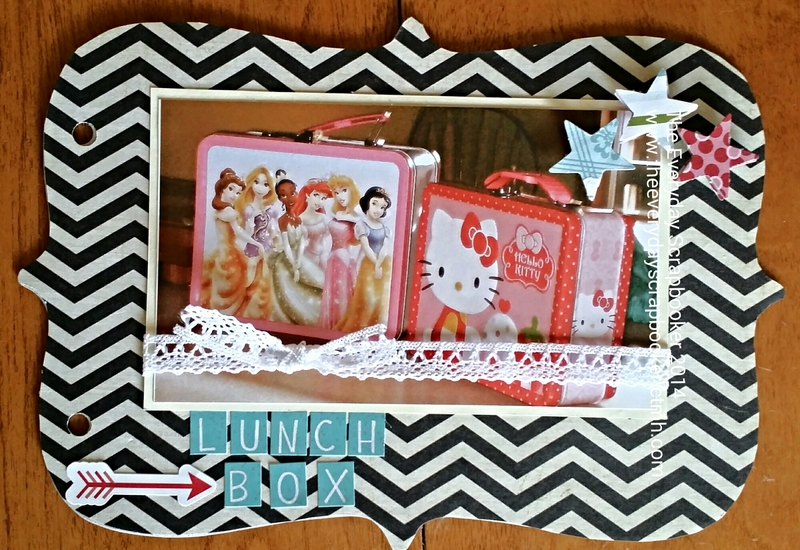 I’ll be back tomorrow with our Toone Tuesday deals and hopefully another layout! 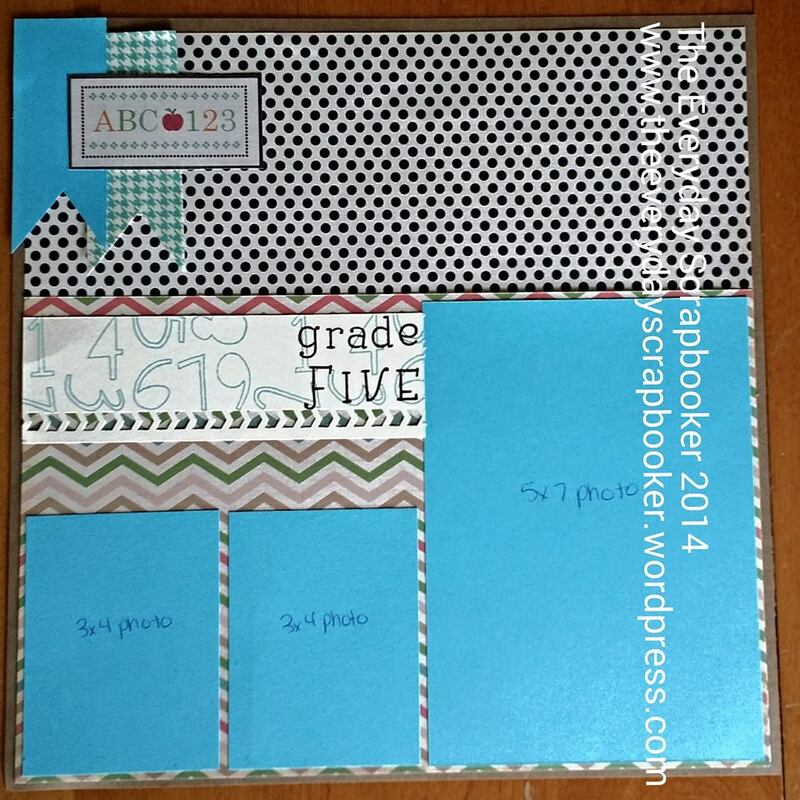 Here’s another page in my mini album- I’m just over half way done! 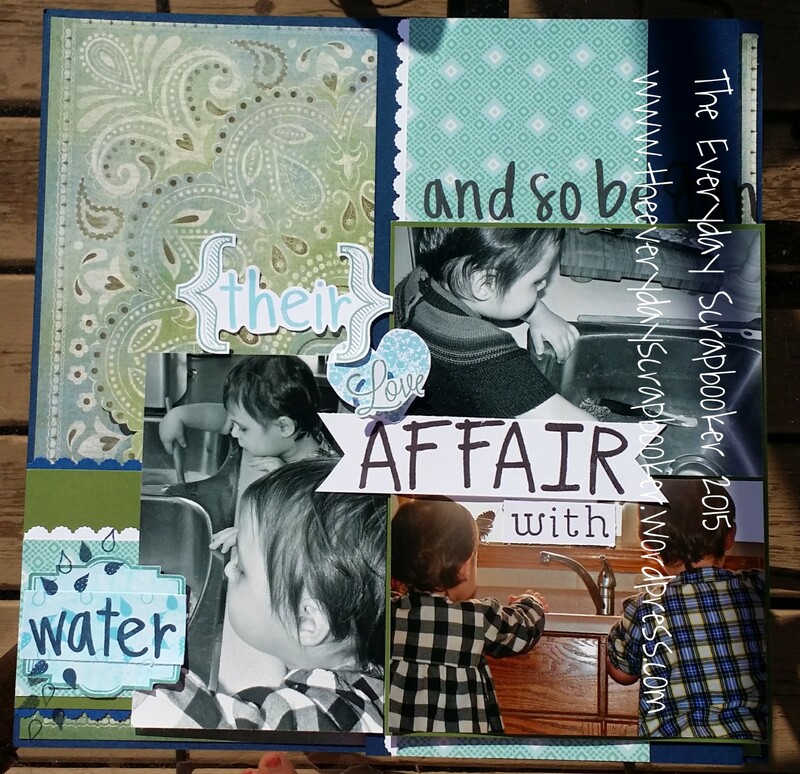 (Oh–apparently we have a theme today- halves!) I have a few more pictures printed out so I can just start sticking things together when I get the chance to sit and play again. 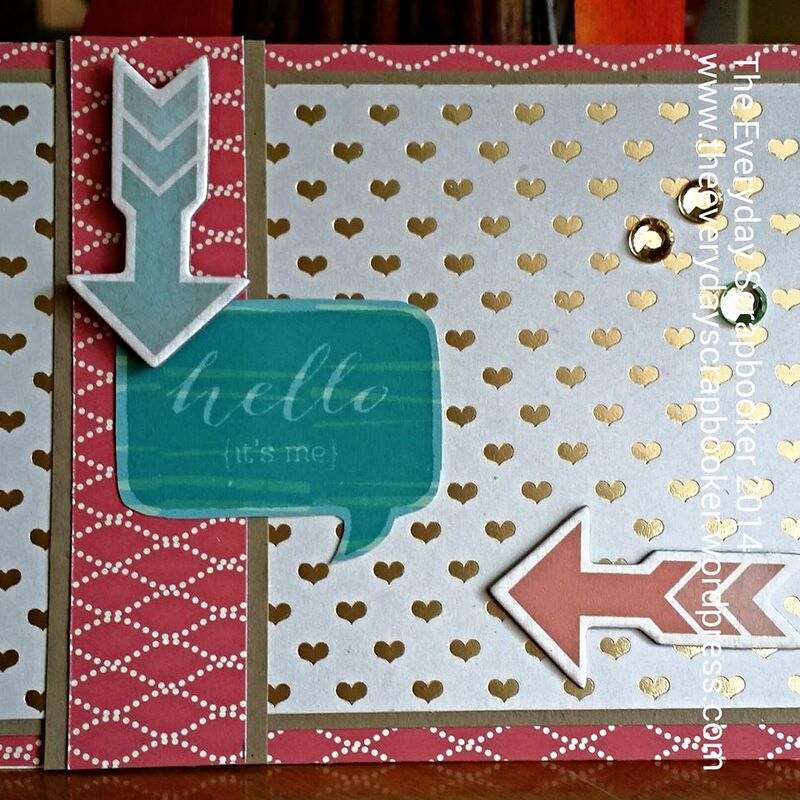 I think I’m in love with this sweet card. 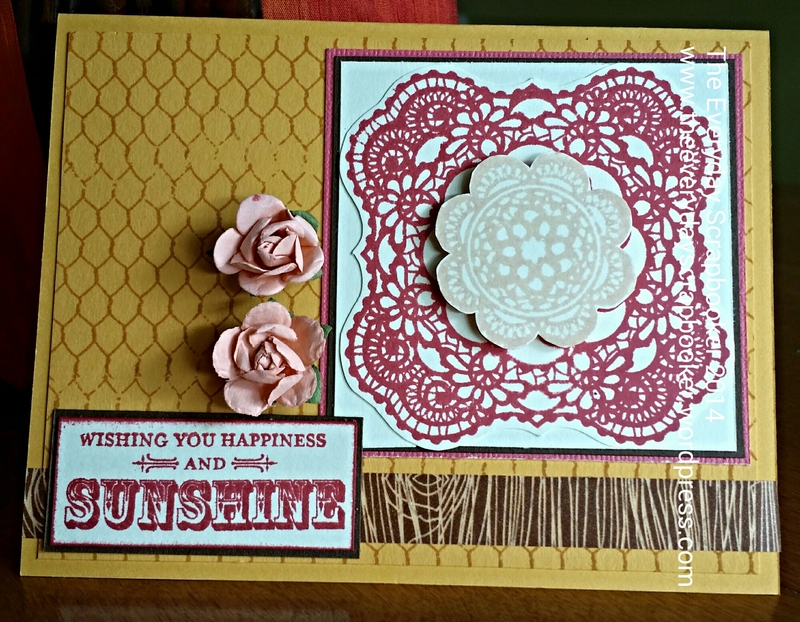 It’s tiny, just 3×3, but it’s perfect for sending a quick note or bit of sunshine your friends’ way. 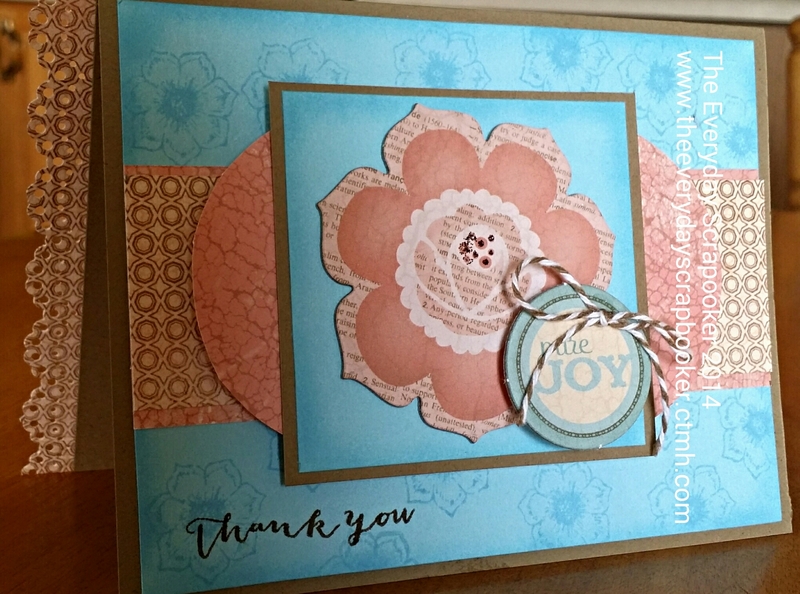 Using up scraps on this card makes it even sweeter! 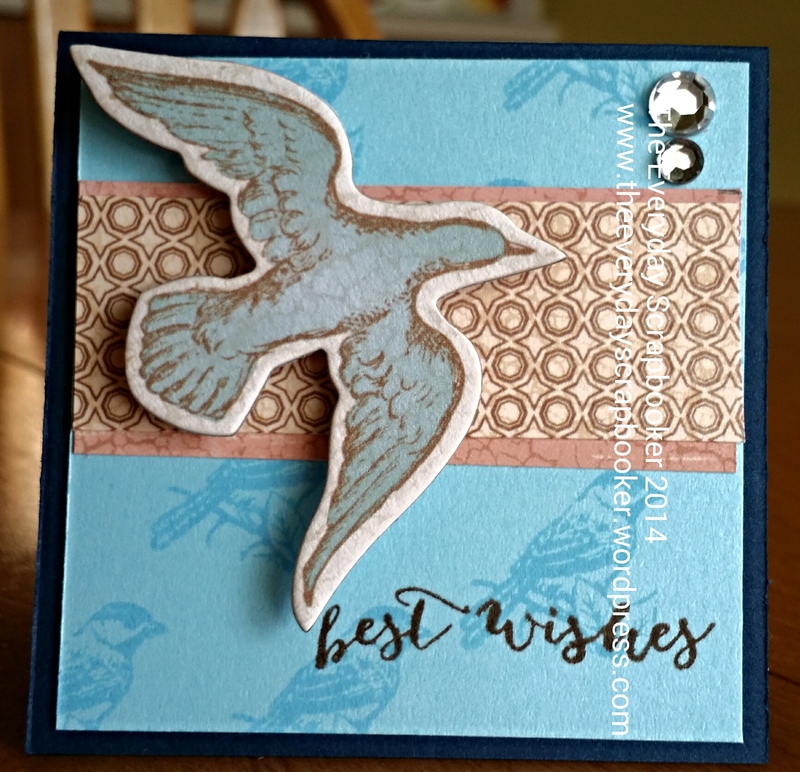 Don’t forget, you can purchase any of the cards I post here or on my business page (I’ve also re-opened my Etsy store! ); if they are already spoken for, or you want something specific, I can make something else. 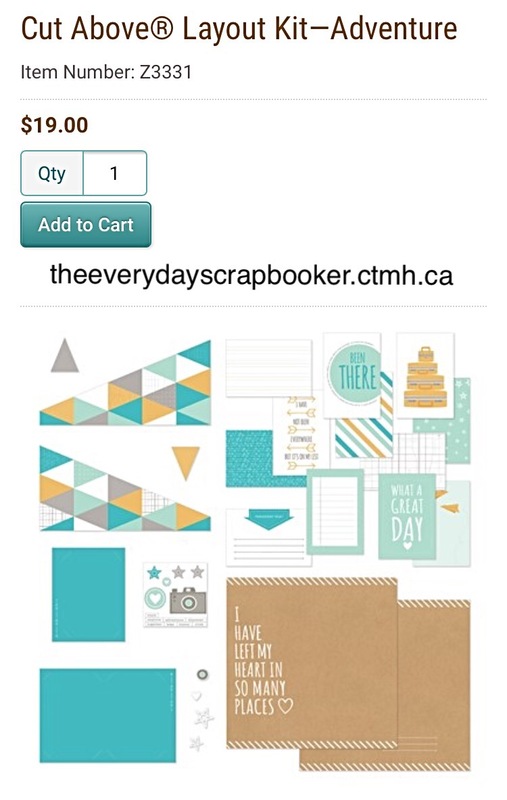 Or, purchase the supplies for the card above, and create your own! I am an independent Close to My Heart consultant, so I can help you with any questions or purchases you’re interested in making! 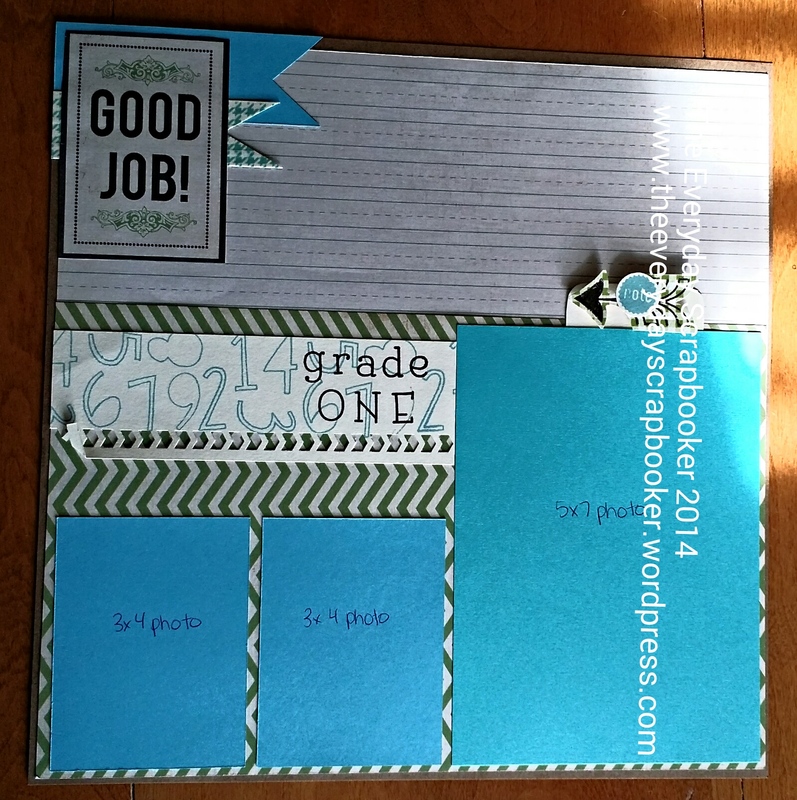 After creating another page for my school chipboard mini, I felt inspired to make another card that is made solely (well, mostly) from Close to My Heart product. 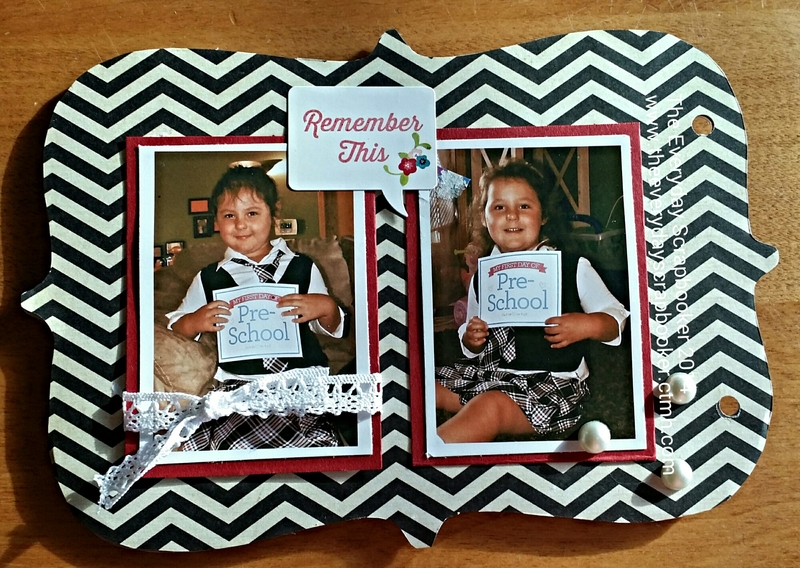 I made a deal with my girls this afternoon that allowed me to actually scrapbook for a satisfying (genuinely) amount of time. The deal? I promised them my undivided attention for a predetermined block of time before and after (unintentionally) my “me” time. I hadn’t originally planned it that way, but it worked. It worked like a charm- to the point that I think I’ve got to try this again! I challenge you to give it a try. You may be pleasantly surprised! I’m so sorry for the long absence! With the kids at home because of the summer break, I’m finding it really hard to get to my haven. 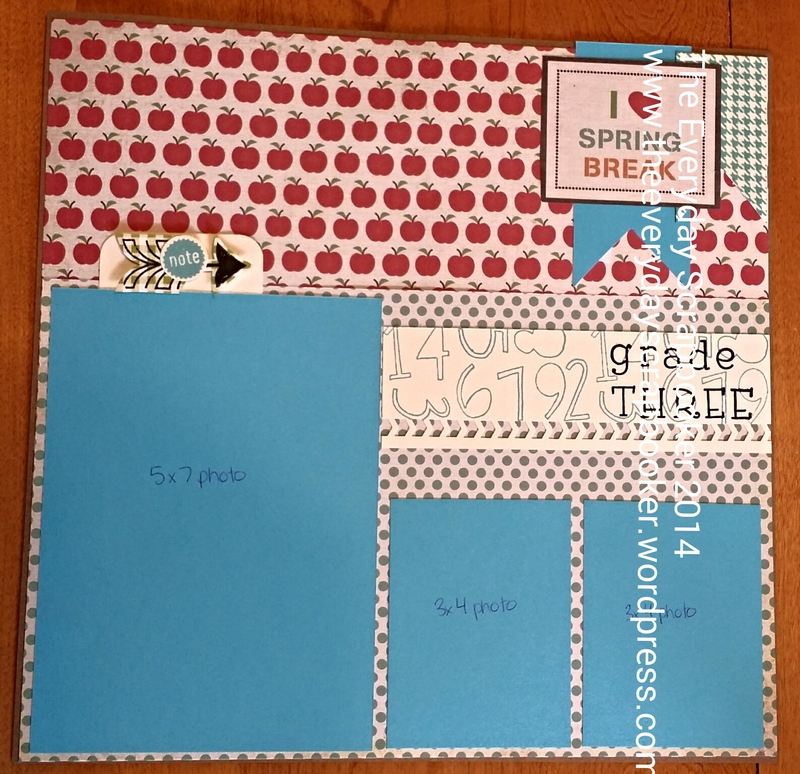 I don’t like to craft (meaning personal scrapbooking) while my kids are home, because it always inevitably ends up being a gong show that results in one or all three of us upset and stressed out! Once evenings roll around and I spend a bit of time with my husband, one hour of crafty time just isn’t enough- so I don’t scrap! 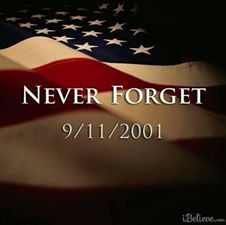 (There’s actually MUCH more to that, but this isn’t the place or time to share that. The above vague sentence is a loaded one). 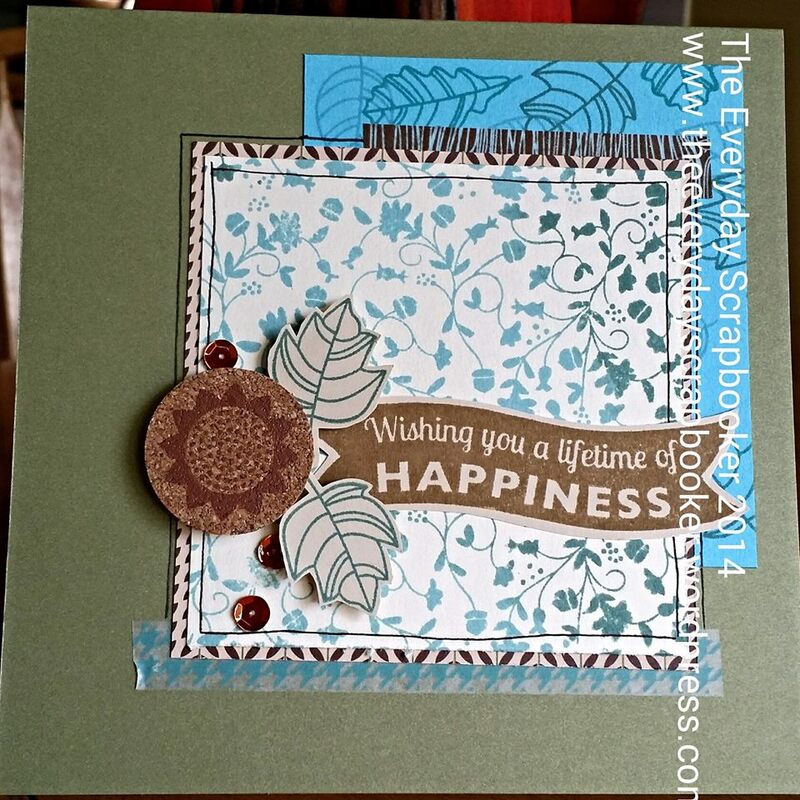 Having said that, I do (finally) have two more mini album pages to share today. I could have shared one of them sooner, but I had it in my brain that it was incomplete. I was wrong! 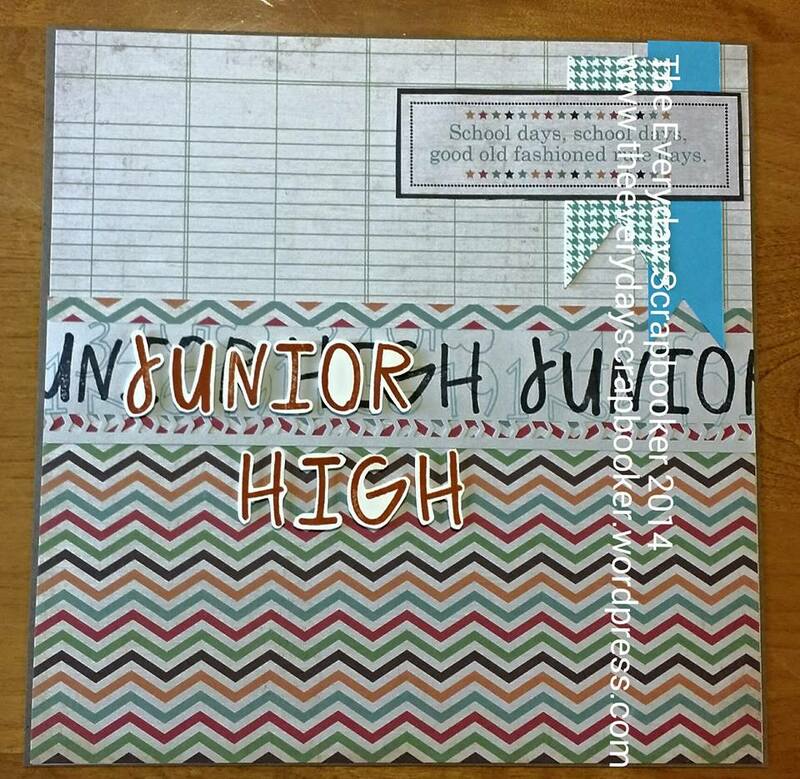 There is going to be journalling on every other page in this album, to help fill it up. 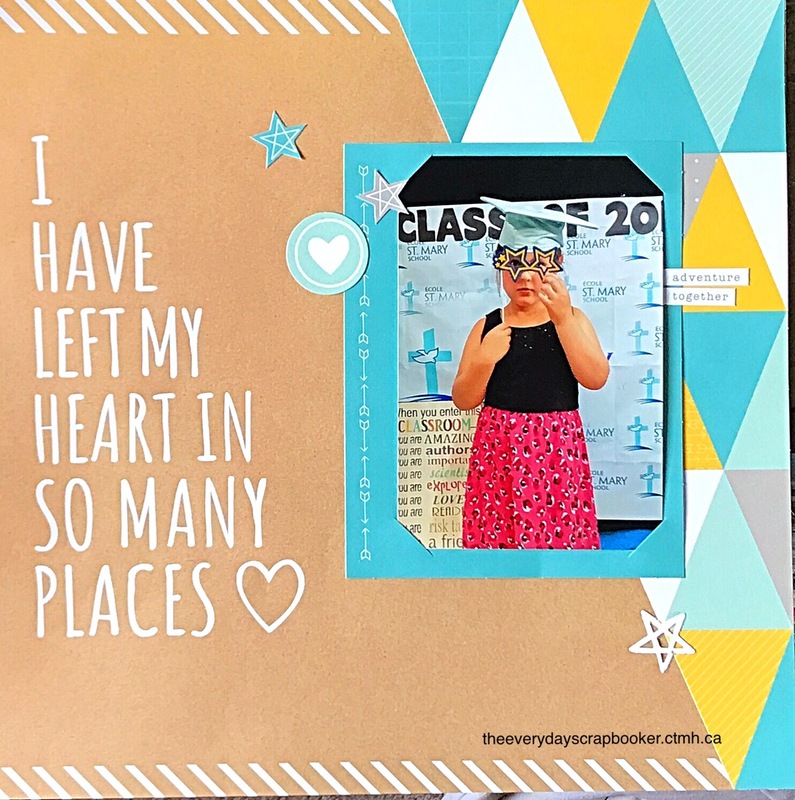 I’ve only got a few pictures from my girls’ first day of pre-kindergarten, and rather than wasting the album by not filling it up, I thought this would work well. 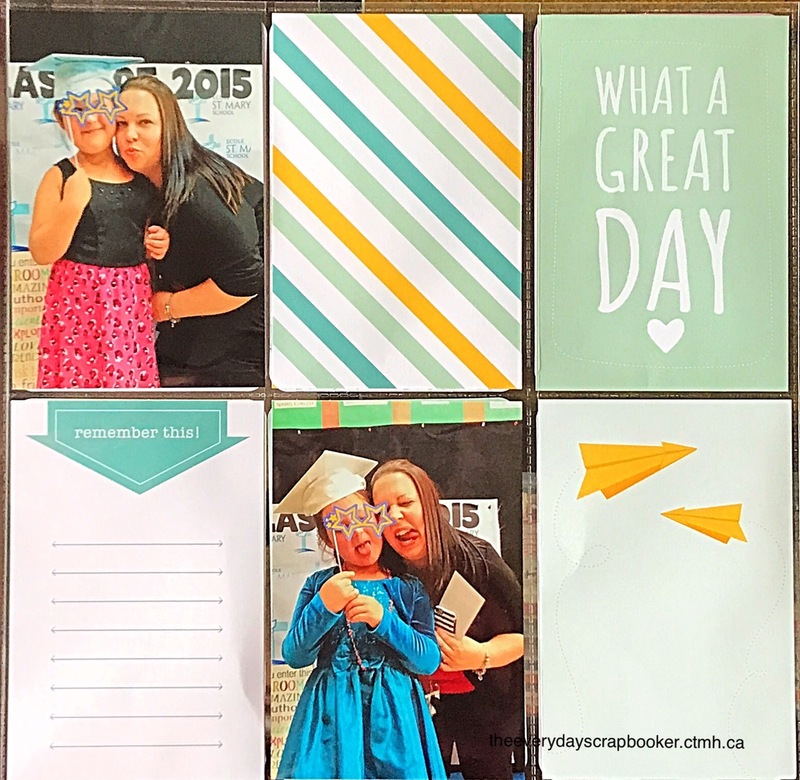 Recording your thoughts, feelings and memories is just as important as the pictures themselves! An idea came to me this morning, that I think I’ll start adding to my blog on a weekly basis: Win it Wednesday. Mojo Monday is also going to be incorporated into my blog. Starting next week, I’m going to hold my weekly challenges here, rather than on my business page. I will include links on my business page, so that you can easily participate here. And, don’t forget- even though the Mojo Monday challenge is presented as a weekly challenge, there are no time restraints on completing each successive challenge. Complete them at will, and as time permits! I’m hoping that presenting challenges this way, more traffic will visit my blog, and it’ll save me from (possibly, eventually) stepping on Facebook’s toes. Heaven forbid being shut down for something so innocent and fun! 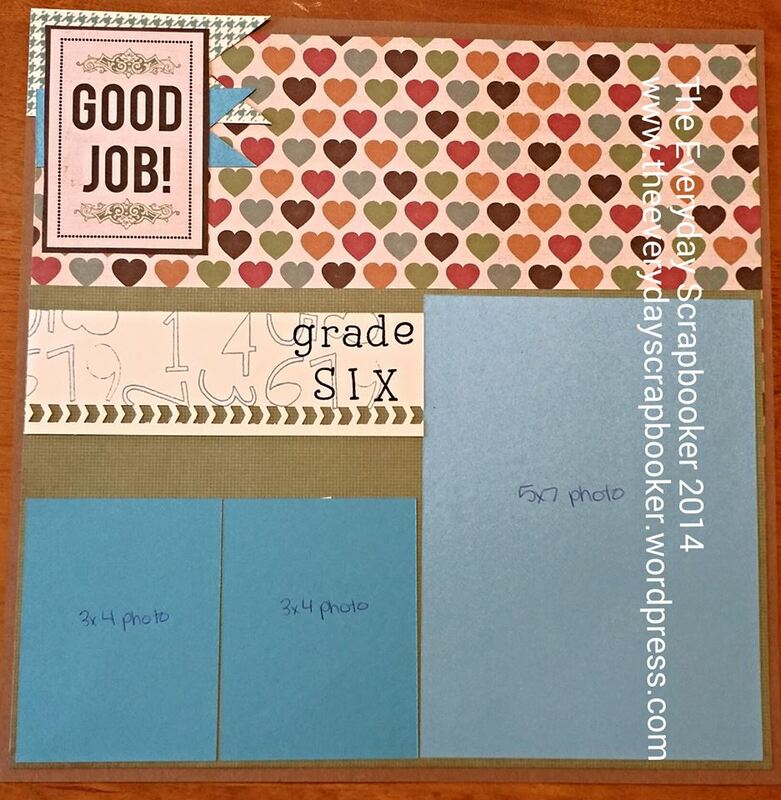 Remember to share with your scrappy and crafty friends! The more, the merrier!